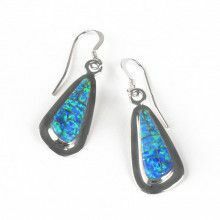 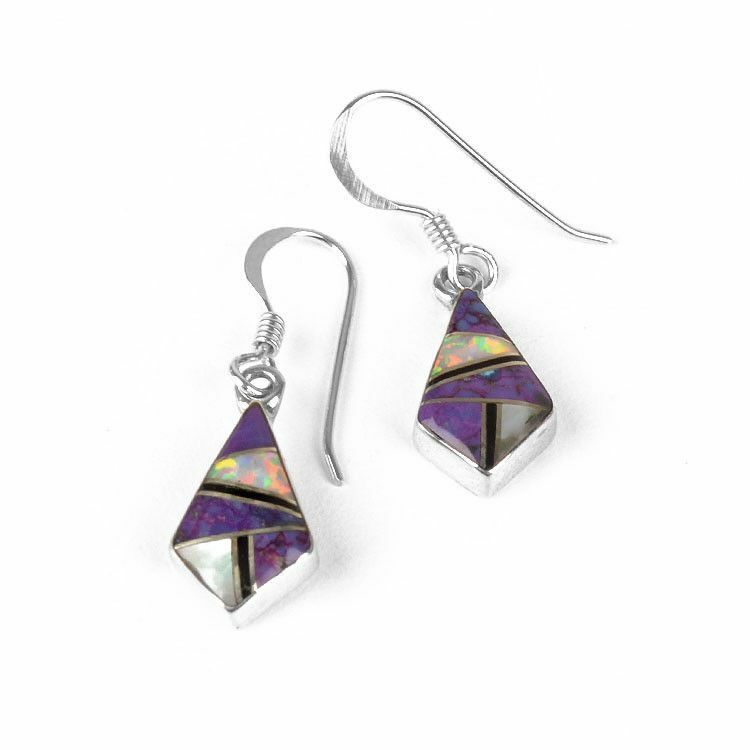 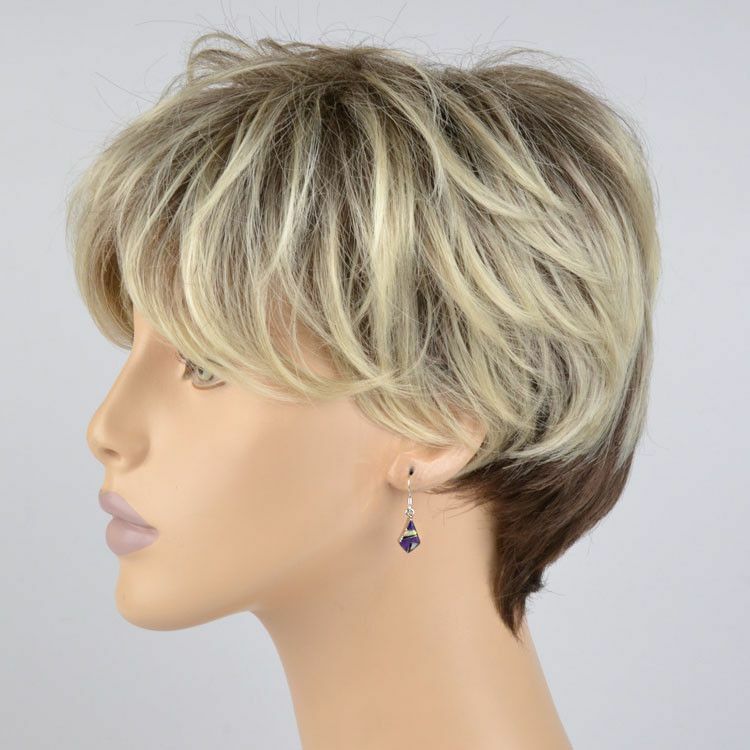 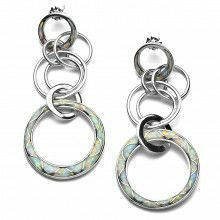 These little earrings (1 1/8" total length, 1/2" length of kite-shaped drop) were made with two gemstones that look great together, sugilite and opal. 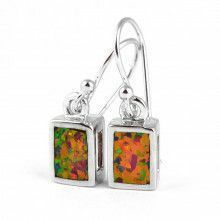 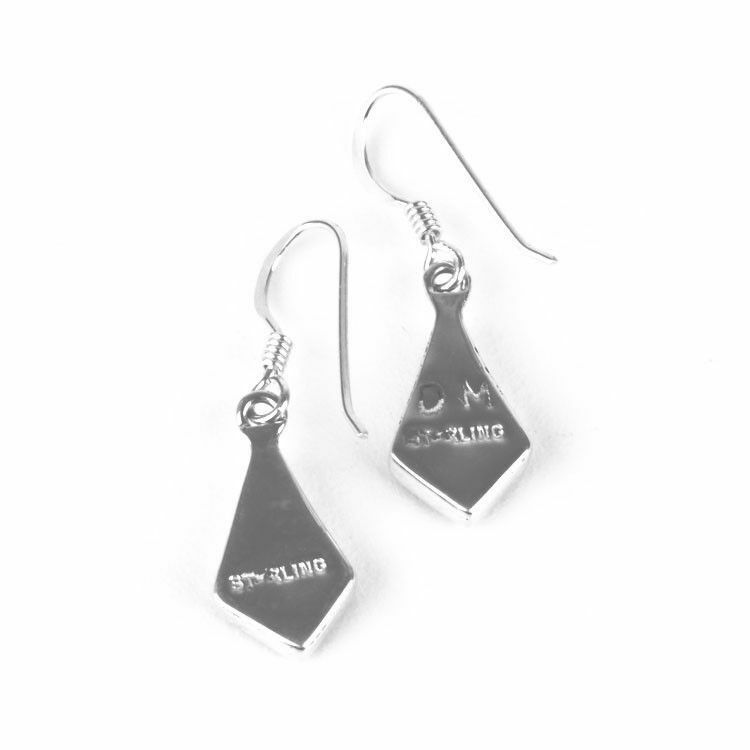 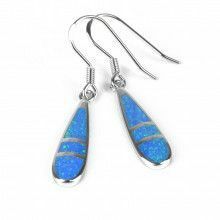 The gemstones were inlaid into sterling silver with an angular design. 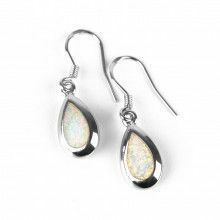 The simplest hooks complete these cuties.